At this point in time I am studying planetary nebulae (PNe in plural, PN in singular). Planetary nebulae are a phase of stellar evolution where stars less than eight times the mass of the Sun (including the Sun) have blown off their outer atmospheres leaving behind the glowing core. The core has stopped undergoing fusion but is still millions of degrees in temperature. The outer atmosphere has been blown far into space by stellar winds and now the ultra-violet light being produced by the hot core remnant (often called the central star) causes this gas to glow. We see this gas as the planetary nebula. As such this is the penultimate stage in the death of Sun like stars, the final stage being a white dwarf. So now you have a general idea what a planetary nebula is. Now as we see them in the sky PNe seem to come in two broad categories, round(ish) and bi-polar. There are of course many different types within these two broad categories, but for the sake of this discussion the two broad categories will do. It is also clear that many apparently round PNe are simply bipolar PNe seen edge on. Now we are still uncertain with what causes PNe to be bi-polar. There are three current hypotheses, which are not mutually exclusive in that it is possible for each one to be a cause of the collimation that forms the lobes of the bi-polar PNe. First up is that there is a disk of dust and gas around the dying star and this forces the gas leaving the star into the two lobes of the bipolare PNe. Second is that there is some unseen companion in orbit around the dying star and gravitational forces cause the collimation. Finally the dying star has a strong magnetic field and this causes the two lobes. Now there's nothing that says that these couldn't all be the cause around different stars and the evidence for them is mixed. Some proto-planetary nebulae have been spotted with disks of material around them. Some PNe have evidence of an unseen companion. The only hypothesis of the three that is quite weak is the magnetic field hypothesis; as most stars the mass of the Sun don't generate a strong enough magnetic field so would have to be somehow "spun up" to rotate faster to generate one. This is where I come in. It has been argued that all PNe are bipolar and that the round ones are just projection effects. That being said there is some evidence that some of the round ones are actually round. Not only that, but the ones that are round come from lower mass progenitor stars (a progenitor is just the thing that came before what we're looking at now). Both Henry et al (2010) and Manchando et al (2000) suggest that the round/elliptical PNe come from lower mass progenitors and that the bipolar stars are made up of more massive ones. 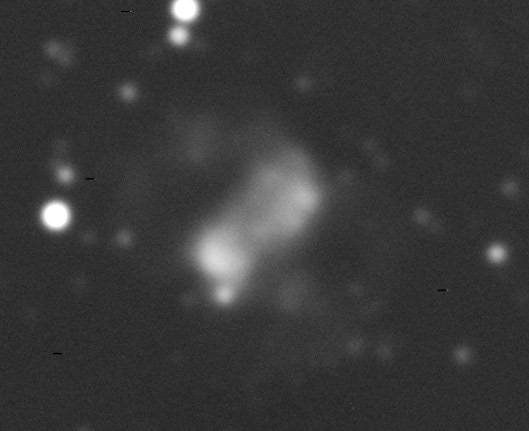 What I am doing is looking at a sample of planetary nebulae of various morphologies (shapes) and determining what the initial mass of the progenitor star was likely to be. From this it can be seen if this lower mass makes round PNe hypothesis is likely to be correct. The problem is "weighing" the progenitor. Normally we can determine the mass of an object by watching how some other object orbits it. 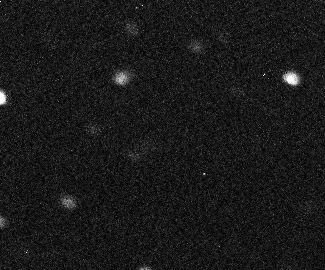 We can also see how a really massive object bends light around it and determine its mass that way. Neither of these methods can be used with planetary nebulae for three reasons. 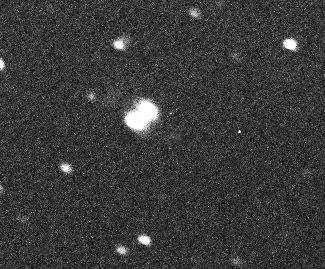 First there is generally nothing detectible orbiting the PNe; second they are not massive enough to measure the light bending around them; and third and most importantly the progenitor star has loosed its non-core layers into the universe so isn't there to be weighed at all. This means some other method must be used. 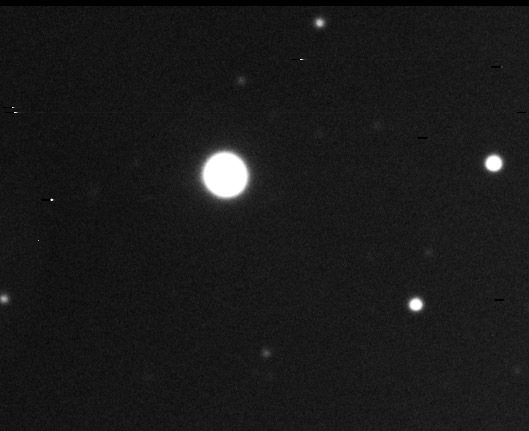 First compared to the lives of the stars that form them, PNe are quite ephemeral things, lasting only several tens of thousands of years (this is a very short period of time in astronomy). This means that the PNe that we can observe are in essence more or less formed at the same time (compared to stars). This allows the next steps in the line of reasoning. Though the PNe themselves are more or less the same age, the same can't be said of the progenitor stars. There is quite a range of ages based on the initial mass of the progenitor. For example stars of around the mass of the Sun live on the order of about 10 billion years. Stars only 5 times greater than that, 5 solar mass stars, live only about 1 billion years. This means that though both of these stars produce PNe, for the PNe we see today some of the stars were formed 10 billion years ago, some only 1 billion or so years ago. This range of formation times is important is that as time moves forward, our Galaxy becomes enriched with more and more elements heavier than hydrogen and helium. This is because in that time frame stars born much earlier die and throw the elements made inside them into the Galaxy to be made into new stars. Thus we would expect stars born earlier in time (longer ago) to have less of these heavier elements than stars born later in time (less long ago). So if a PNe has more sulphur than another, its progenitor must have been formed later since in order to gain sulphur it would have had to be born in a later time where more sulphur was available. I used sulphur in the previous example purposely. Sulphur is made in stars, but not those that form PNe. Much more massive stars are needed to make sulphur so we know that the amount of sulphur in the star, and hence its PNe, is from when it formed and not because the star made it. So if the amount of sulphur in a PNe can be measured, it provides a marker for the size of the progenitor star. More sulphur means the progenitor star was heavier. Thus a graph of sulphur abundance is also a graph of progenitor mass, even if we can't tell exactly how much mass the progenitor had, we can still tell if one was more likely to be heavier than another. Now the trick is to measure the sulphur abundance of the PNe. This is doable! There's a couple of ways this can be done. First and more traditionally a spectrum would be taken, the sulphur lines located and measured and compared to some other line (in astronomy abundances are always given as a ratio of one element to another as this counteracts effects due to changes in brightness due to factors other than the amount of the element present). To do this requires a spectrograph and they aren't cheap. So I use the second method, which is a form of photoelectric photometry. I use a CCD imager that uses a monochrome CCD chip similar to the colour chips used in your camera phone to take images of target PNe through various filters. One of these filters only sees the light from an emission line of hydrogen known as hydrogen alpha. Another filter allows the imager to only see the light of a certain emission line of sulphur (known as sulphur[II]). By comparing the brightness of these two lines as seen by the imager one can infer the abundance ratio of sulphur to hydrogen and hence the relative mass of the progenitor. So that, in a nutshell, is the general focus of my research. Feel free to contact me to ask questions!